Careers | Truitt Insurance & Bonding, Inc.
At Truitt Insurance & Bonding, we are focused on finding ways to grow, have fun, and improve our sales efforts and client service capabilities. From individuals entering the work force for the first time to people wanting to change career fields to seasoned industry veterans looking for a different environment, we invite you to learn more about a potential career at Truitt. We are committed to maintaining a friendly office environment where you will not only fill a position but where you can be heard, truly make a difference and look forward to coming in each day. We also strongly believe that while working hard is a given, there is more to life than work. Our goal is to be the kind of workplace where both a rewarding career and a fulfilling personal life are possible for our staff. 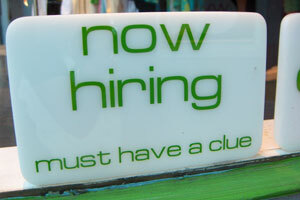 If you would like to discuss a possible position with Truitt, please forward your resume to info@truittinsurance.com. We might just be a great fit for each other.